Welcome back to our Academic Insights series – the place where we hear from genuine distance learning experts and get their top tips for academic success. This time we're looking at something many distance learners have to do: project work! Tutor Tim is here to help you get on course for perfect projects! 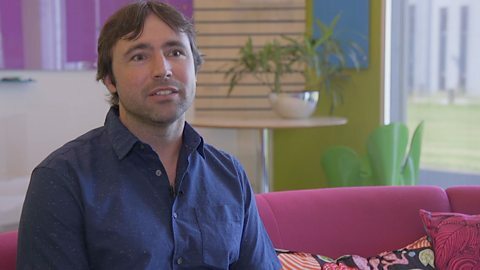 Tim Coughlin is a lecturer in education technology and a distance learning tutor, so he's got a lot to say about academic project work. We asked him for some tips for distance learners to help them produce projects they can be proud of. Scroll down to watch the video and hear with Tim has to say! To help you, take a look at the definitions of some key words from Tim's video in the Session Vocabulary box. How projects play a part in distance learning: Tim Coughlin answers your questions in 3 minutes. I'm Tim Coughlin. I'm a lecturer in education technology and a tutor in computing in distance learning education. Students will do a number of smaller projects during a qualification like a degree, but towards the end they very often will do a large individual project, and this will involve them independently doing a piece of work, with the support of a supervisor or tutor to help them along the way. You need to be guided by your tutor or supervisor in making those choices because we want it to be a good project. But there is a lot of individual scope for you to choose something you're interested in. At undergraduate level the length of the project is normally, you know, six to nine months and three hundred to six hundred hours of work. So every project will start with producing a proposal and you'd want to get this agreed with your tutor or supervisor to make sure it's suitable. You then move on to doing quite a lot of research around the area, make sure you know what you're going to do and what information you need; obviously then you'll be moving on to planning the project and then delivering it. Towards the end, you'll have to spend a substantial amount of time writing things up. They've got to maintain contact with their tutor in different ways. So you might have to email them, or talk to them on the phone and get used to doing that regularly. That's obviously important to keeping you on track. Projects can be challenging for non-native speakers, particularly if they need to do a lot of research, which is written work, so they need to improve their ability to read a lot of documents. So those are skills they should be developing as they go through their qualification. One is that it allows them to pursue something they're really interested in, so they should be building on the advanced topics of study they've learned as they've gone through their qualification. It teaches people sort of project management and time management skills, and a lot of those would be important in professional jobs. If you were going for an interview or applying for a job you might have a piece of research, a product or something you've designed that you can actually show those people. We hope you've picked up some good advice on completing projects in your distance learning studies. Let's recap the #9 things we've learned about project work. Projects can be quite small – but at the end of their course, learners will often have to complete a large individual project. Your tutor can guide you in choosing the project's topic, but ultimately it's your decision – there's lots of scope to choose something interesting. Final projects usually take six to nine months to carry out – this could be from 300 to 600 hours of work. There are a number of stages to a project – the proposal, research on the topic, then planning and delivering it – all requiring a lot of writing! Stay on track with your project – keep in touch with your tutor to help you deal with the challenges of project work. Make sure you work on developing your reading skills. Project work usually involves a lot of research – which means a lot of reading! Project work is a real chance to explore an aspect of your studies in more depth – you can pursue something you're really interested in. Project work is demanding, but it allows you to develop project and time management skills – useful skills for your career! A completed project is a great thing to have if you're applying for a job – you can give prospective employers a real example of what you've done. 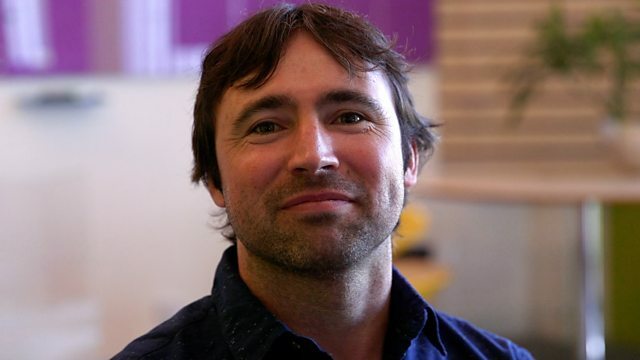 You can find out more about Tim and get more tips about project work by visiting our partner The Open University – click on the link in the 'Where next?' area.